Finally found a fun way to photograph this dark kitty. On a dark brown couch, back-lit from the window, on a "low-key" camera setting. This is absolutely great on black! FAV! The eyes are piercing. Well composed - I like the low-key, dark framing. Immediate fav! Well deserved PP and TP. Could be a TT!! Brilliant capture, great viewed on black. Looks stunning on black - an absolute fav! Instant fav! Congrats on TP+PP. This is great and good idea for me to photo my dark kitty too. This little sweety is adorable, and wonderful work too. Awwww how adorable............you did a great job against the dark background! 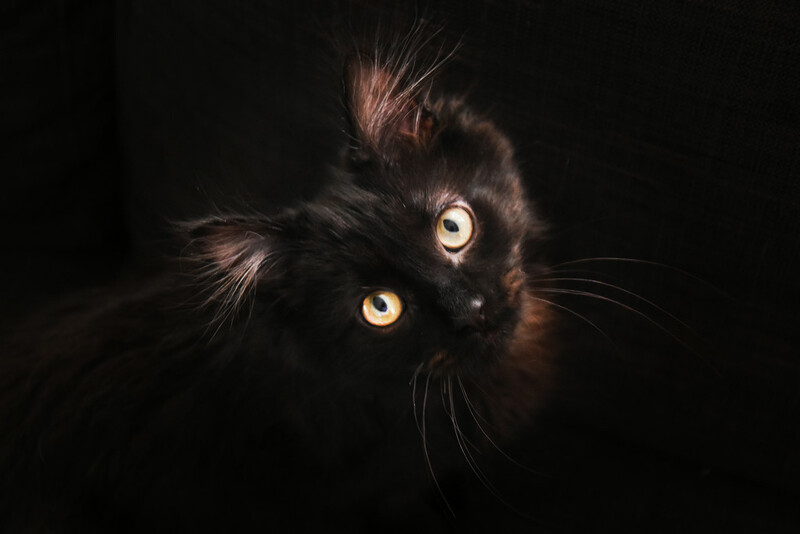 Thank you so much for this overwhelming response to the dark kitty photo! I am glad you enjoyed it, and thank you very much for stopping by and leaving a comment!